The museum completed phase two of its capital development project, Developing for the Future, and opened its major new exhibitions on 14 June 2014. The project will continue to run until early 2018, with the museum delivering learning and engagement projects, community participation and a vibrant programme of events and activities. Phase one consisted of the development of a brand new facility on the museum site. A dilapidated former maintenance block was demolished to make way for the striking Wilshaw Building housing our new Clore Learning Space and the Cable & Wireless Archive. 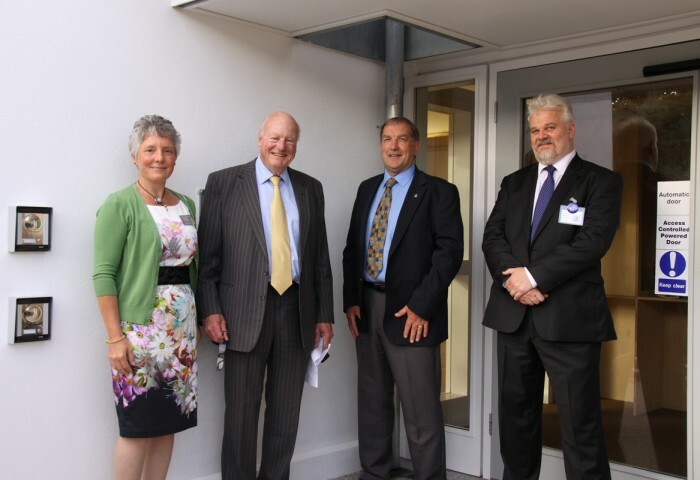 Designed by internationally renowned architect MJ Long of Long & Kentish, the Wilshaw Building was officially opened by Lord Pender of Porthcurno; patron of the PK Trust. The Clore Learning Space; developed with the generous support of the Clore Duffield Foundation; provides a bright, spacious and flexible space for formal and informal learning with schools, colleges, and community groups as well as events and private hire opportunities. Since its opening it has hosted diverse events including school plays, community knitting groups, a book launch and the premiere screening of an art film by a renowned international artist. The Cable & Wireless Archive houses the business archive of Cable & Wireless and provides a unique and important resource for researchers and academics around the world. Discover more about the archive and how to access it. Phase two of our development centered around the redevelopment of Eastern House; the main museum building; and the development of major new exhibitions. Eastern House dates to 1904 (with some later additions) and is Grade II listed by English Heritage. Originally part of the telegraph cable station itself, Eastern House was never intended to accommodate thousands of visitors and so sensitive redevelopment was required to accommodate growing numbers. The sense of space has been vastly increased and access greatly improved throughout. The upstairs gallery has almost doubled in size, and new visitor facilities including a bright new cafe installed. Exhibition development has been overseen by our own in-house team with support from leading agencies and designers. Ab Rogers of Ab Rogers Design and his team created bold exhibition concepts, realised by industry-leading providers. The new exhibitions opened to the public on Saturday 14 June 2014 and have received a steady stream of positive audience feedback since, both from return visitors and those visiting for the first time.